Do you ever have days when you don’t really accomplish a whole lot? You know what I mean, you’re sitting at your desk and your mind wanders off. You idly check your email and your favorite websites for the tenth time today and you don’t feel like doing anything useful at all. Or you’re driving your car and you worry about all the things you still need to do this week or you analyze what went wrong during the long meeting yesterday at the office. Recognize that? Whenever this happens to me, I try to put myself in a different mindset with two powerful commands: Now! and Action! They bring me back to the current situation, the current reality, and they remind me to be action-oriented in order to accomplish something… anything! These two simple commands I use on myself actually embody more elaborate feelings and principles of course. Recently I have had the pleasure of teaching and coaching other people (mostly consultants and entrepreneurs) on Getting Things Done. I’ve been using GTD for about 2 years myself, mostly teaching myself how to become better and more effective at it. Occasionally I would inspire friends or colleagues to read David Allen’s book or to start experimenting with GTD in their own life. However, training entire groups of people and coaching several colleagues and clients is a whole different, but very exciting game! I’ll probably be writing more about these particular experiences in future posts. In this post I would like to discuss one common theme I’ve noticed when ‘students’ start asking questions about the newly acquired principles and tools of GTD. Sorry, I simply couldn’t resist publishing this article. You may have noticed that I’m a big fan of top 10 lists; in fact, my previous post was a top 10 list… and this post is a top 10 list as well! 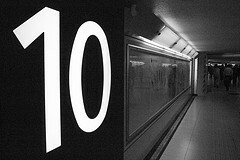 So, just for fun I compiled a top 10 list of top 10 GTD lists! Doing a quick search on the internet, I was pleasantly surprised that almost half of these top 10 lists are actually written by me. In reality, there really are some gems in these lists, so enjoy! Perhaps you know the familiar phrase from the field of computer science, “Garbage In, Garbage Out“? Well, the same goes for your GTD system. Here’s a big surprise: if you feed your GTD system incomplete or incorrect input in the Collection phase, you will never get reliable or useful output in the Doing phase (next actions). Ubiquitous capture is a well-known principle in the collection phase of the GTD workflow. 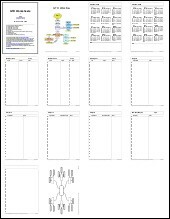 If done well, it helps you to generate useful, complete and correct input for your GTD system. To help you optimize your ubiquitous capturing, I have compiled a list of 10 useful tips from my own experience. 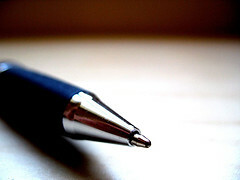 Recently I silently added my ebook “The Best Blog Posts of Getting Things Done, Final Edition 2007” to my online shop. However, I didn’t want to let this occasion pass completely unnoticed. This 112 page ebook contains nearly 40 of my very best GTD blog posts from 2007. 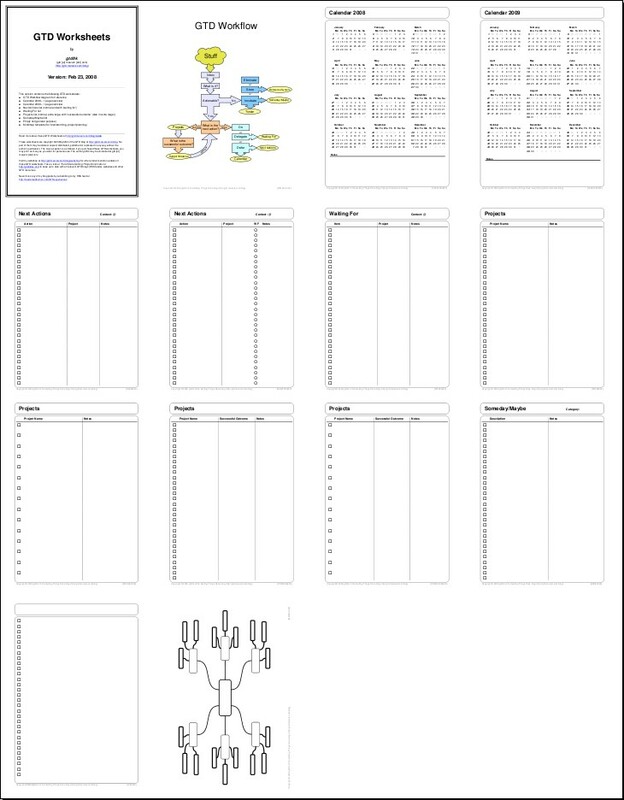 As a special bonus it includes my set of GTD worksheets for free! Getting Things Done is an excellent method for self management. However, most people argue that its bottom-up approach leaves much to be desired when it comes to top-down aspects of self management, like living according to your purpose, dream, vision, values, principles, et cetera. I don’t fully agree with this assessment of GTD but I’ll leave that for a future blog post or two! My point is: don’t just rely on one approach to self management. Combine best practices from bottom-up and top-down approaches and adapt them to your personal situation! The bottom-up approach is useful for the operational level of your life, but it’s useless without a sound top-down approach for the strategic level of your life. OK, this is getting weird. This weekend I have read 2 interviews with 2 of my “heroes”. Yesterday I found an interview with David Allen on Web Worker Daily and today I found that Stephen Covey has been interviewed by Leo from zenhabits.net! What I like about both interviews is that they do not repeat the same old questions but rather focus on an original approach, making for a much more interesting read. Enjoy! Bob Walsh has just posted the first part of an interview with David Allen on Web Worker Daily. The interview (so far) is an interesting read because it doesn’t only focus on GTD, but also on health and stress. The second part of the interview will be posted tomorrow. Check it out! Update: part three is here. I try to keep up with reading everything I possibly can about GTD. This is becoming increasingly difficult because these days it seems everybody and their mother is writing about GTD! 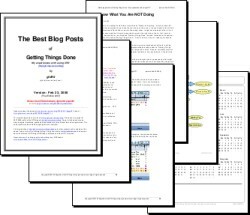 Much like my post “GTD Gems – Part 1” I want to present a few interesting GTD articles from the past 2 or 3 months, especially from some lesser known blogs. I have hand-picked the list of GTD articles below for your reading pleasure. Have a nice weekend!